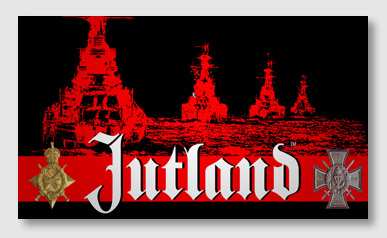 When you look at the major naval actions of the 20th Century Jutland sometimes gets lost in the shuffle. 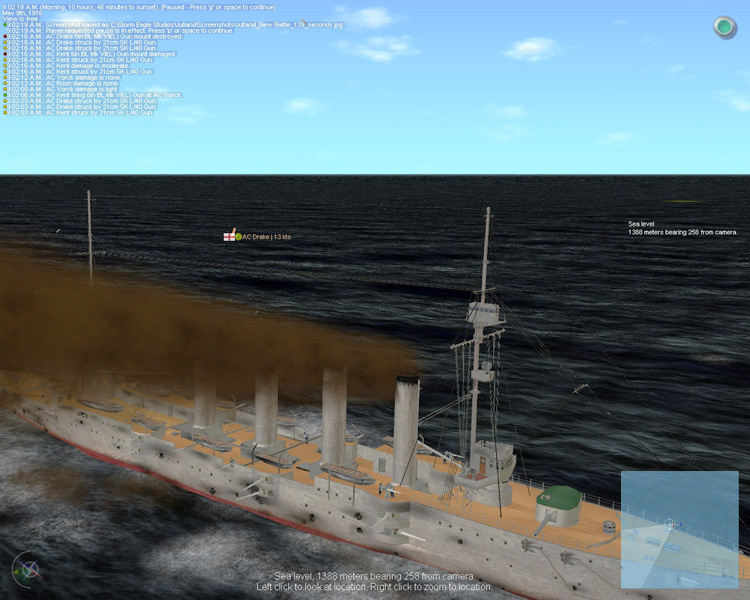 Storm Eagle Studios, the creators of the outstanding Distant Guns naval simulation / wargame decided to tackle one of the more interesting naval events of the first half of the 20th century. 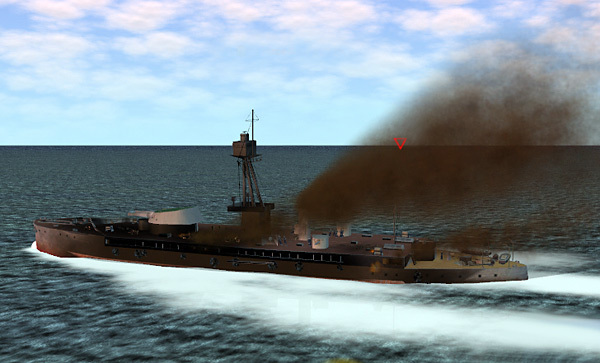 I have had the chance to put about 25 to 30 hours into the game and have had a fairly good chance to evaluate this naval simulation. In the first half of the 20th century the battleship ruled as the queen of the oceans. Starting with the HMS Dreadnought in 1907, a new and more powerful form of battleship took over the leadership role as projectors of power and prestige for the powers of the late 19th and early 20th century. These all big gun warships were beautiful and powerful but also excessively expensive and only the most powerful countries could afford such weapons. In reality the cost of such warships had a large impact in their use. The loss of one was a great blow to the bank account of any country. One ship, the HMS Audacious was sunk by a mine in 1914. This ship, little over a year old, cost the British Government 1.9 million pounds. Although the loss of this ship occurred with no loss of life, a standard complement of a Dreadnought style battleship was around 950 men and the death of so many in such a short time would also be cause for alarm. Prior to WWI, Great Britain ruled the seas and there were only two real powers that could reasonably compete with England on the water — the United States and Imperial Germany. One country was friendly with England, the other was not. Under Kaiser Wilhelm II Germany rapidly upgraded and increased the size of her naval forces and created a blue water navy that could pose a real threat to the supremacy of the Royal Navy. But how would she use her fleet? Even in 1914, the Royal Navy had a significant advantage in battleships and battlecruisers and although the German ships were reputed to be of a better construction, British ships in general were faster and more heavily armed. Germany’s hope early on was for quick hits and strikes by submarine forces to damage and remove enough surface ships from the Royal Navy to allow a balancing of forces over time. While there were some notable successes against British surface forces, overall the German tactic of attrition was a general failure. The Grand Fleet lost only one modern battleship to these mining and torpedo tactics, and this wouldn’t be enough to close the gap. The Royal Navy generally didn’t bite on the German tactics and wouldn’t just run their fleet out just to see torpedoes by German subs. If the Grand Fleet was going to sail, it would have to have a reason. Admiral Reinhardt Scheer, only six months into his command of the High Seas Fleet, decided to try to force a fleet action against the British. He plan was to sortie the High Seas Fleet and the Scout Fleet under Vice Admiral Franz Hipper. Submarines were to be posted near the fleet anchorages at Scapa Flow to hopefully catch some of the British warships as they sortied. Unfortunately for the Germans, the British had cracked German naval codes a year before and were well aware of German plans. Knowing the general area the High Seas Fleet was heading, Admiral John Jellicoe was able to deduce through intelligence and the increased sub activity that the Germans were up to something and place the fleet much sooner than the Germans anticipated.